Brian Behlendorf is confident that 2018 will be a peak year, not only for Hyperledger — the international consortium of companies and organizations developing open source, permissioned blockchain technology — but also for blockchain technology in general as businesses and governments recognize the potential power of distributed ledgers and smart contracts. 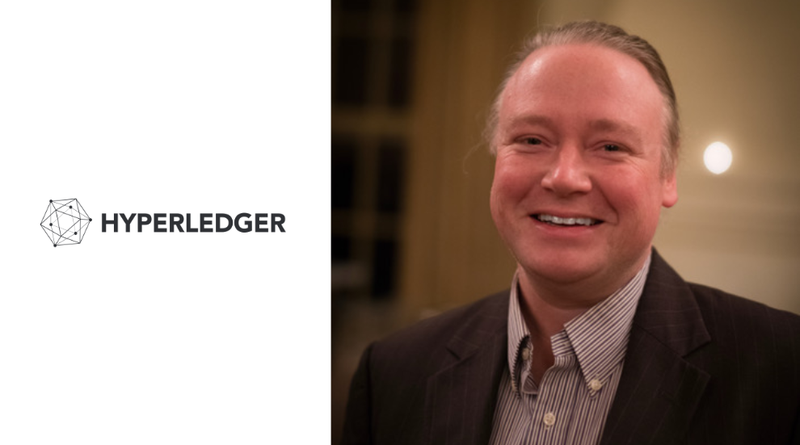 Hyperledger, founded in 2015, incubates and promotes blockchain technologies for business, including distributed ledgers, client libraries, graphical interfaces and smart contract engines. Their 200 members include leading companies in finance, banking, Internet of Things, supply chains, manufacturing and technology development. “2017 was a milestone year for Hyperledger both for new members and for new technical breakthroughs. In 2017 we doubled our membership, gaining companies like American Express, Cisco, Daimler and Baidu, and we’re expecting more companies and organizations to join in 2018,” said Behlendorf. “On the technical side, 30 companies and more than 100 developers contributed to the launch of the first production ready Hyperledger blockchain framework called Hyperledger Fabric,” he added. According to Behlendorf, an important part of Hyperledger’s mandate is to also help educate and train the workforce for the many new blockchain opportunities coming in 2018. In 2018, Hyperledger will start launching a number of frameworks and platforms that are currently in incubation. Behlendorf expects that 2018 will also see some experimentation with different levels of permissioned access to blockchain networks. He noted that permissioned and permissionless is more of a spectrum than a binary notion, and an important question is what the cost to join a node to a network is in any blockchain platform. By reducing the cost of joining a networked ledger, Hyperledger hopes to enable new use cases and ways to solve problems. “Hyperledger was started by a set of developers very focused on modest-sized permissioned ledgers, so that’s where the initial work has been, but there’s no hard limit to that. So we’re happy to look at options that make it easier, perhaps even to full permissionless frameworks,” said Behlendorf. “I should note that our projects including Hyperledger Indy (for identity), Hyperledger Burrow (for smart contracts), Hyperledger Quilt (for interoperability) and Hyperledger Composer and Cello (developer tools) are agnostic about consensus mechanisms and would work fine with permissionless approaches,” he added. Quilt will offer interoperability between ledger systems by implementing ILP, which is a payments protocol designed to transfer value across distributed and non-distributed ledgers. Sawtooth is a blockchain platform for creating and managing distributed ledgers. Sawtooth includes Proof of Elapsed Time (PoET) and a new consensus algorithm that is maintained without a central authority. It was originally proposed by Intel. Iroha is a business blockchain framework for infrastructure projects that require the use of distributed ledger technology. It includes a chain-based Byzantine Fault Tolerant consensus algorithm. Soramitsu, Hitachi, NTT DATA and Colu originally proposed this framework. Burrow is a smart-contract creator with a permissioned smart-contract interpreter included. Indy is a distributed ledger with a decentralized identity designed to create independent digital identities between blockchains. Composer is an open development tool set designed to make it easier to integrate existing business systems with the blockchain.